The Social Network won top honors Sunday at the Golden Globes with four prizes, together with best drama and director, solidifying its position as an Academy Awards favorite. Winning the dramatic lead-acting prizes were Colin Firth for the monarchy saga The King’s Speech and Natalie Portman for the psychosexual thriller Black Swan. 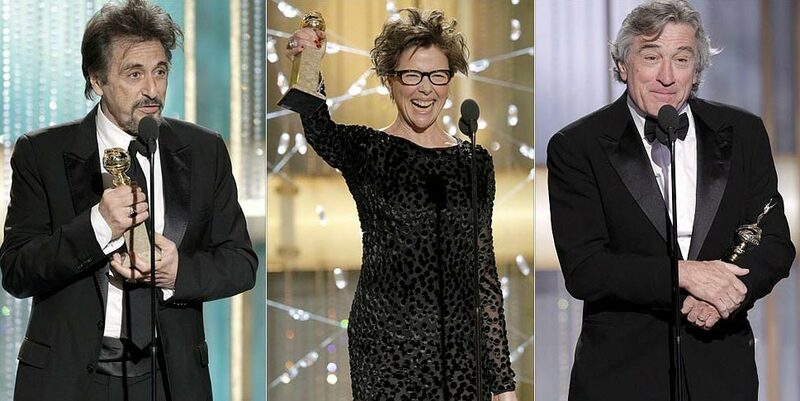 Lead-acting honors for the Globes’ musical or comedy categories went to Annette Bening for the lesbian-family story The Kids Are All Right and Paul Giamatti for the cynic tale Barney’s Version. The boxing drama The Fighter got both supporting acting Globes, for Christian Bale and Melissa Leo. said David Fincher, whose film also won the Globes for screenplay for Aaron Sorkin and musical score for Trent Reznor and Atticus Ross. 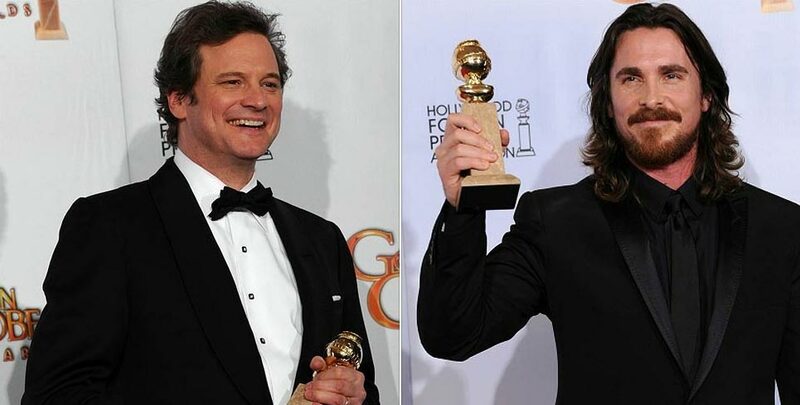 Actors Colin Firth and Christian Bale flew the flag for Britain at the Golden Globes in Los Angeles, where the stars were recognised for their perfomances in The King’s Speech and The Fighter respectively. 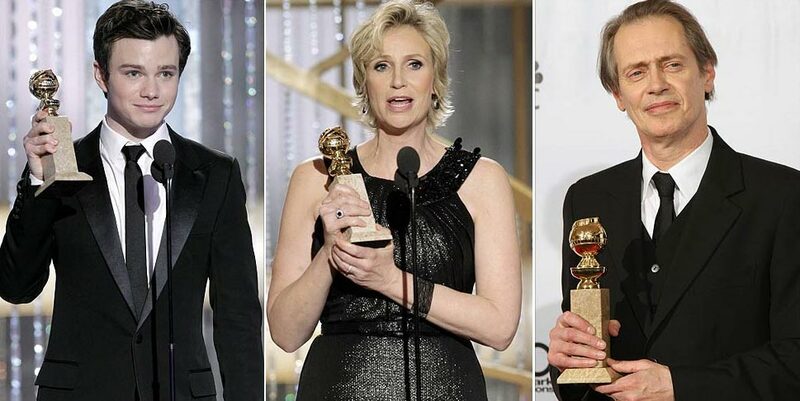 Glee was the main winner in the TV categories, with cast members Chris Colfer (l) and Jane Lynch (r) both taking home prizes. Elsewhere Steve Buscemi (r) was named best actor in a TV drama for HBO’s Boardwalk Empire. Toy Story 3, the top-grossing film released last year won the Globe for animated films, making Disney’s Pixar Animation unit five-for-five in the category since it was added in 2006. Unfortunately, the sci-fi blockbuster Inception, expectations failed. A best-drama contender had four nominations but lost them all. Johnny Depp, who had two nominations for best musical or comedy actor, also left empty-handed. The buzz around town on Globes weekend was therefore not only about likely winners. 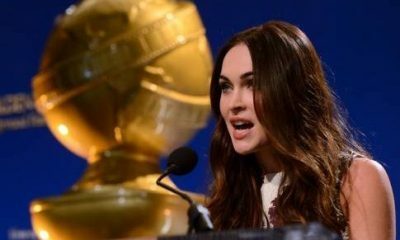 However, the accusations have been denied by the HFPA, a group of about 90 reporters covering show business for overseas outlets. FYI, the Globe ceremony traditionally had a strong track record as a forecast for what film would win best picture at the Oscars. Al Pacino (l) and Robert De Niro (r) were among the Hollywood veterans recognised at the Los Angeles event. So was actress Annette Bening (centre), honoured ahead of her Kids are All Right co-star Julianne Moore.